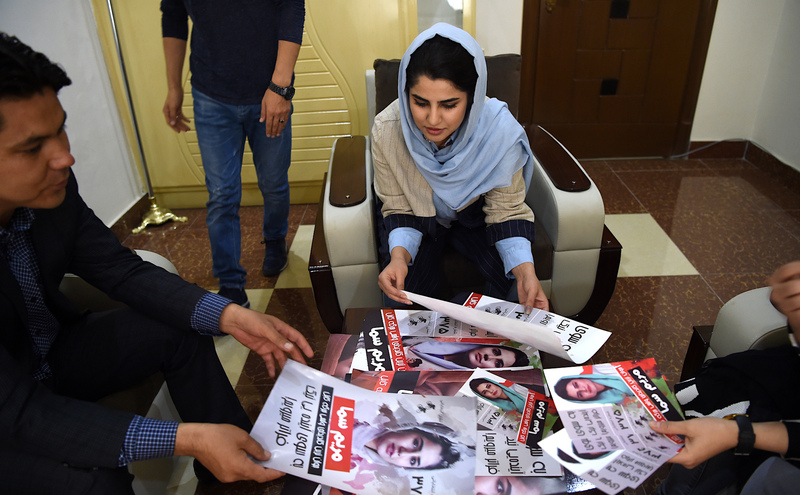 KABUL -- Kabul voters will wrestle with newspaper-sized ballot papers on Saturday (October 20) when they race to find their candidate among more than 800 faces. The huge number of parliamentary hopefuls vying to represent Kabul Province, where around one-fifth of the Afghan population lives, is the highest in the country. The number of candidates from Kabul account for almost a third of the more than 2,500 people contesting for seats in the long-delayed elections for the Wolesi Jirga (lower house of parliament). To make the process easier and faster for voters, candidates have advertised their numerical position and ballot page number -- along with their digitally enhanced photos -- on campaign posters on lamp posts, billboards and blast walls around the province. The key numbers appear alongside symbols such as palm trees, lions or spectacles, used by each candidate to enable illiterate voters to identify them. With lofty promises of pushing for "change," "justice" and even making "streets from gold, schools from diamonds and universities from emeralds," candidates are locked in a fierce battle for a total of 33 seats allocated to Kabul. Voter registration data released by the Independent Election Commission (IEC) shows more than 1.6 million votes are up for grabs in Kabul, the highest concentration among all 34 provinces. Biometric verification machines designed to prevent people from voting more than once are scheduled to be used. 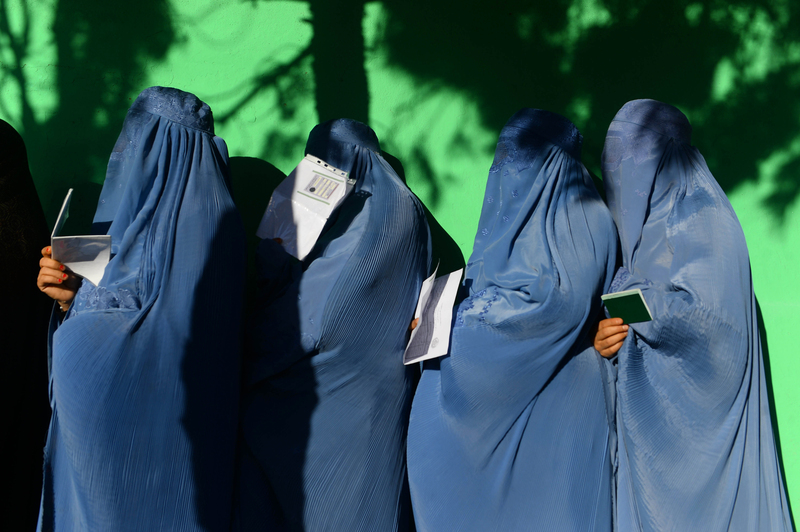 While Afghan law does not require the use of biometric verification, votes cast without it will not be counted, the IEC spokesman Sayed Hafizullah Hashemi said. 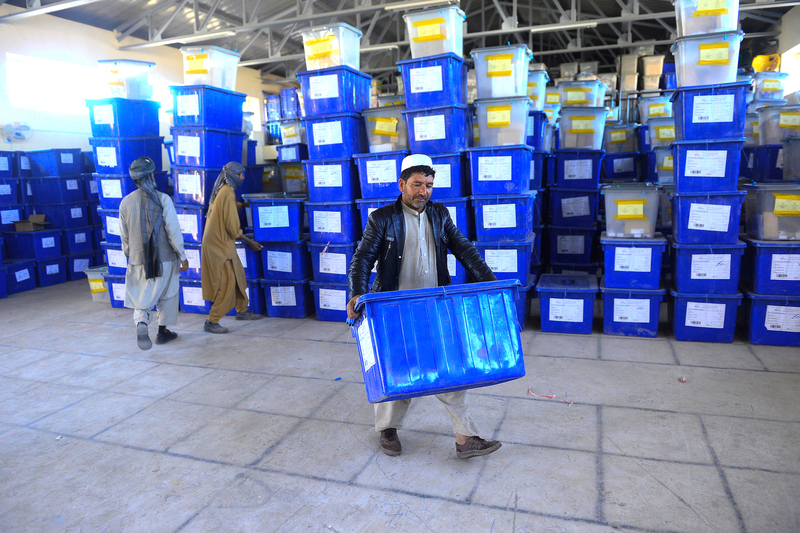 Despite the unusual size of Kabul's ballot paper -- and the potential for hundreds of thousands of votes to be cast -- regular boxes would be used to collect ballots on election day, according to Hashemi. "We have around 6 million people [in Kabul] -- it is very populated," he told AFP. "If the boxes fill up, we have reserve boxes." The parliamentary vote, scheduled for October 20, is seen as a test run for the 2019 presidential election and a milestone in the development of Afghanistan's democratic processes.